Make Money from Home with Isagenix! Enter your email address and we’ll show you how. 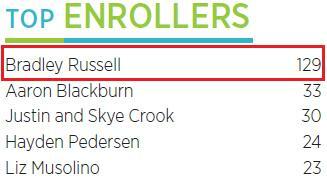 By a wide margin, I am the top enroller in Isagenix for all of Australia (and probably the world). In 2016, Isagenix ran the Million Dollar Challenge. I came SECOND IN THE WORLD! That’s right, second out of tens of thousands of Isagenix associates that entered. What did this mean for me? Well, you can see the bonuses I earned from this promotion alone (on top of my normal Isagenix weekly income). 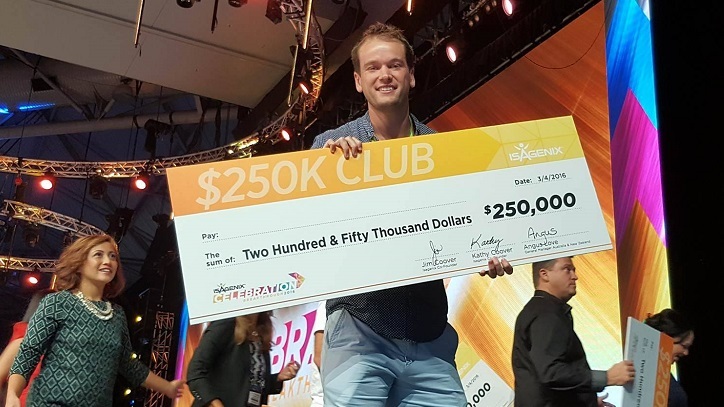 As of September 2018, Isagenix has created approximately 280 millionaires worldwide. Here’s once such millionaire couple that have created financial and time freedom with the Isagenix compensation plan. Interested in this business opportunity? Watch the short video below to see how easy it is to get started! A strong support network: we’ve been through the process of starting an Isagenix business and we’re here for any questions or concerns you might have. We want to see you succeed! Access to private Facebook groups that contain information on the Isagenix business, product news and testimonials. An exclusive welcome kit with valuable tools to help you thrive. Invites to member-only meetings like seminars, networking events, and team celebrations. Weekly product information nights for potential clients. Feel free to send along family and friends to learn more about the Isagenix line of products. Three-way calls with you, a potential prospect, and a senior team member to provide support and help guide you through the initial sales process. Weekly webinar on sales strategies and new industry developments. Ongoing online education and training programs. IsaTonic has members throughout Australia and the rest of the world. With such a wide network of talented network marketers, we can connect with you and offer advice no matter where you are.